What could be better than climbing to the summit of a New Hampshire Presidential? How about being on top for the sunrise! 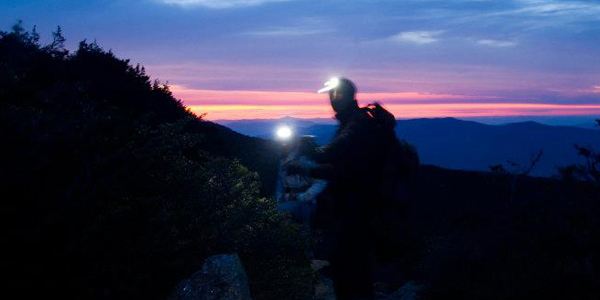 We are excited to offer our “Summit at Sunrise” climb to elevate your adventure. After a gear check, we will head out under the moonlight for an unforgettable journey at midnight. Above the trees we will have an unobstructed view of the sunrise over the Atlantic Ocean. Enjoy personalized attention with small guide:climber ratios. No experience is required. All ages are welcome! For your convenience, we climb 7 days per week in season. Our goal is to make your mountain adventure as memorable and comfortable as possible. To do this, you must be properly prepared. We provide all of the technical gear that you will need for an awesome adventure. However, we ask that you please bring your own clothing - including but not limited to: a base layer for top and bottom, climbing or snow pants, some insulating layers and jackets, socks and warm gloves or mittens. When selecting clothing for your adventure, choose synthetic materials, wool, or fleece as cotton will absorb sweat and freeze - increasing the chances of hypothermia. For your convenience, we have the mandatory gear available for rent! We also have a small selection of clothing available for rent if you are missing anything listed above. Upon completion of registration, you will receive a welcome packet via email with a gear rental form that you will complete and return to reserve the gear you need for you adventure! Please read through the following frequently asked questions and answers. These will help you prepare for your trip and get a better understanding of what to expect. Questions pertaining to Mountaineering immediately follow and Ice Climbing questions are further down. Thanks! When considering clothing, you have to think in layers. You should be able to wear every layer that you bring at the same time. WINTER: The boots and parka are your two key pieces of gear. Avoid cotton at all costs. Instead wear wool, synthetic materials, and goose down. When considering your backpack, make sure it is an appropriate size and it must have a waist strap. School bags are not appropriate for our climbs. You will need: Synthetic Base-layer tops and bottoms, wool socks, ski or soft-shell climbing pants, light insulating jacket (synthetic or down), hard-shell jacket (waterproof), and a super warm down parka or ski jacket. You will also need gloves AND mittens as well as a warm hat, gaiters, goggles for above tree line, sunglasses, and balaclava. Your footwear needs to be warm, waterproof, and crampon-compatible for above tree line climbs. For below tree line, four-season hiking boots or winter boots work well. SUMMER: From May – October we are able to cut down on a few items. Hiking boots or sturdy trail-runners are acceptable footwear. Dressing in layers is still a valid practice. You will need: lightweight wool socks, trekking pants, wicking t-shirt, wicking long sleeve shirt, light down or synthetic jacket, waterproof hard-shell jacket, waterproof hard shell pants (for rainy days), lightweight gloves, warm hat and sunglasses. For the beginning and end of this season, you may want to include synthetic base-layers. What Size Backpack Should I Use? Please bring a 30L-50L pack for the Spring-Fall and a 40L-60L pack for the Winter. Your pack must have a waist strap and chest strap and designed for day hikes and backpacking. Will kind of footwear should I wear? WINTER: Mountaineering Boots for above tree line and Winter Boots for below tree line. You never bring both. It will depend on the specific climb. SUMMER: Hiking Boots or Trail Runners. You do not need prior experience to join us! We will be sure to take your experience level into consideration when planning which climbs we will attempt. Can you recommend climbs for me? We would be happy to recommend the appropriate hike/climb for you based on your goals, comfort level and experience level. Feel free to contact us for a recommendation. Do we hike in bad weather? This depends on the hike/climb we have planned. We usually will go out in the rain and snow. Lightning will reschedule or end our climb. Please plan for all weather conditions. We may just alter the plan based on the weather forecast. Microspikes are a traction device that will fit over your boots. The small spikes that sit on the bottom of the boot allow for better traction and secure foot placements. We will provide these if the climb/hike calls for them. Some take 2 hours to the top and some take 6 hours. There is a wide range based on accessibility and trail conditions. DO I NEED SNOWSHOES OR CRAMPONS? Many trails other than the Tuckerman Ravine Trail require snowshoes in the Winter. Above tree line often requires crampons. In the Winter only, you will likely need at least one of these if not both. WHAT HAPPEN IF I DAMAGE MY RENTAL GEAR? We offer rental gear insurance for $10. This covers any damage or loss that may occur to your rental gear. Without the insurance, you are responsible for the lost or damaged item(s). HOW CAN I PAY FOR GEAR RENTALS? We accept all forms of payment including cash, personal check, credit and debit cards. Rentals must be paid for beforehand or on the day of the climb. These are boots that are designed specifically for snow and very cold weather. They are often composed of an internal insulating boot and an exterior plastic or leather boot. Hiking boots and winter snow boots are not suitable for Mt. Washington or the high peaks of New England in the winter. You will not need these for peaks that do not go above tree line. IS THERE A DEPOSIT TO SECURE MY SPOT ON A CLIMB? Due to the nature of our business, we require payment in full upon booking. Large groups are encouraged to contact us prior to booking as deposits are accepted. You will also need to complete a health form and liability waiver to participate. WILL THERE BE PEOPLE THAT I DO NOT KNOW ON MY CLIMB? Unless you book a private climb, you will most likely be climbing with others. Don’t worry though…climbing creates bonds and friendships. All NEM programs meet at 7AM sharp at The Bunkhouse at Northeast Mountaineering, which is 1 mile north of Storyland on Rt. 16 in Glen, NH.